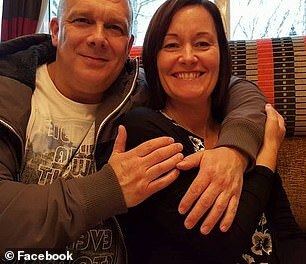 A woman watched her husband ‘die in absolute agony’ after an ambulance failed to arrive when he suffered a stroke. 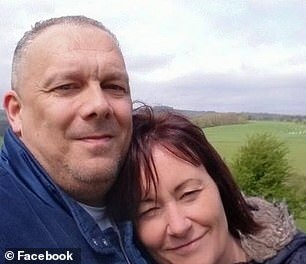 Michelle Lane called 999 when her 54-year-old husband Tony slumped on the floor and began vomiting in a car park on September 2. 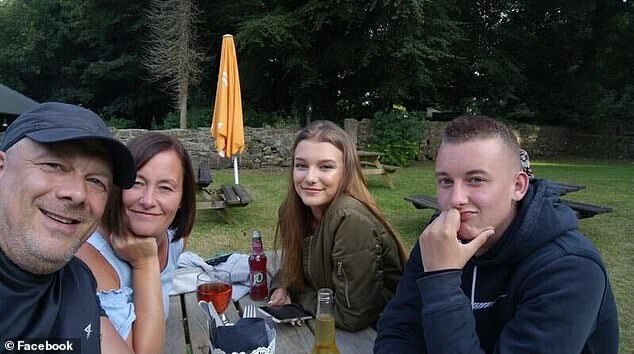 But she was told it would take an hour for an ambulance to arrive – despite NHS guidelines saying they should respond to life-threatening emergencies within seven minutes. Mrs Lane was then forced to make her own way to King’s Mill Hospital, Derbyshire, by getting a lift with her nephew. She watched her husband screaming for help during the eight-mile car journey and the doting father died the next day. She told the BBC: ‘All I wanted was an ambulance. They couldn’t have saved him but he wouldn’t have died in absolute agony – and I watched my husband die in absolute agony. ‘My nephew drove the car and I held my husband in my arms as he was repeatedly screaming “pain, pain, head, pain”. ‘I’ve been diagnosed with post-traumatic disorder because of it, because I can’t get it out of my head. 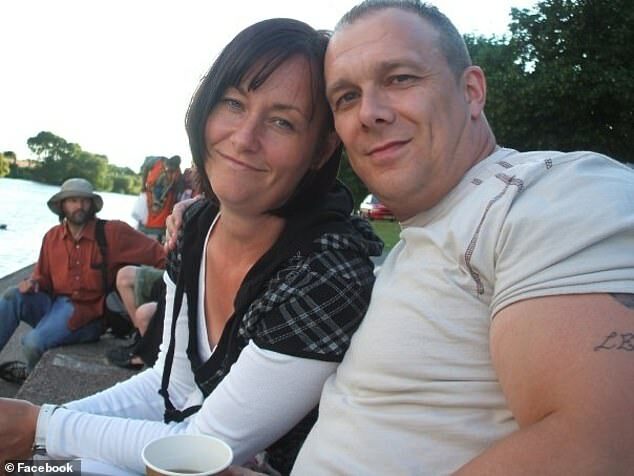 After arriving at the hospital Mr Lane had a CT scan which showed his stroke had been caused by a brain aneurysm. HOW ARE EMERGENCIES CATEGORISED WHEN YOU CALL FOR AN AMBULANCE? Category 1: People with life-threatening injuries and illnesses, such as a cardiac arrest or serious allergic reactions. On average, an ambulance arrives within seven minutes. Category 2: Emergency conditions such as burns, epilepsy or stroke. An ambulance should arrive within 18 minutes. Category 3: ‘Urgent calls’ like late-stages of labour, non-severe burns and diabetes. Patients may be treated by ambulance staff at home. If the patient requires hospital treatment, at least nine times out of ten an ambulance will arrive within two hours. Category 4: ‘Less urgent calls’ such as diarrhoea, vomiting and urine infections. Patients may be given advice over the phone, or referred to another service such as a GP or pharmacist. If hospital treatment is required, at least nine times out of ten an ambulance will arrive within three hours. He was then transferred to the Queen’s Medical Centre in Nottingham, where he suffered a second bleed to the brain during an operation in the early hours of September 3 and his life support machine was turned off later that day. After three minutes, Mrs Lane handed the phone over to a passer-by, who was told by the call handler: ‘We are experiencing a very large number of life-threatening emergencies at the moment. Mrs Lane’s call was initially classed as Category 1 because her husband was unconscious – this is the most serious category and an ambulance should take seven minutes to arrive for these calls. It was later recategorised as Category 2 after he regained consciousness during the call – but these should still take just 18 minutes for an ambulance to arrive. Ben Holdaway, director of operations at East Midlands Ambulance Service, said: ‘The call had been recorded as a potentially serious condition but we were experiencing very large numbers of emergencies at that time. ‘The caller was informed we aimed to be with the family within 60 minutes, or as soon as the next ambulance was available to be dispatched to them.